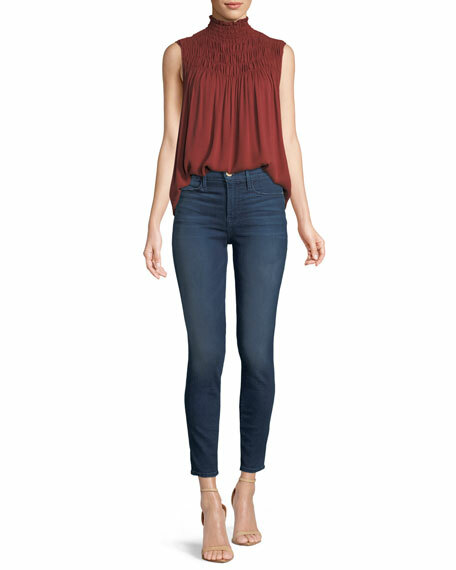 FRAME "Le High" jeans with light whiskering and fading. Approx. measurements: 9" rise; 29" inseam; 36" outseam; 10" leg opening. AG Adriano Goldschmied "Stilt" stretch-cotton jeans with fading and whiskering. Approx. measurements: 7.3" front rise; 30" inseam; 11.5" leg opening. DL 1961 Premium Denim "Danny Supermodel" jeans in Moscow dark indigo denim. Approx. 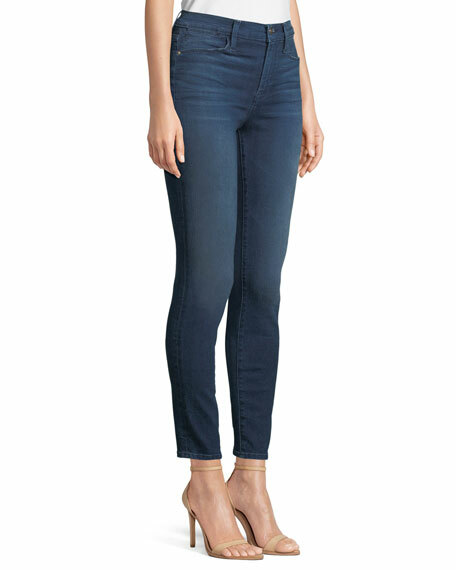 measurements: 9" front rise; 33" inseam; 10.5"
Etienne Marcel skinny jeans with contrast side zippers. High-rise; belt loops. Five-pocket style. Fitted through skinny legs. Cropped above ankles. Etienne Marcel skinny jeans with contrast side zippers. High-rise; belt loops. Five-pocket style. Fitted through skinny legs. Cropped above ankles. Raw-edge hem. Button/zip fly. Cotton/spandex/polyester. Made in USA of imported material.